At JW Auto Care, which serves the greater Scottsdale and Tempe areas, we work on all models and years of Japanese cars, including Mitsubishi. 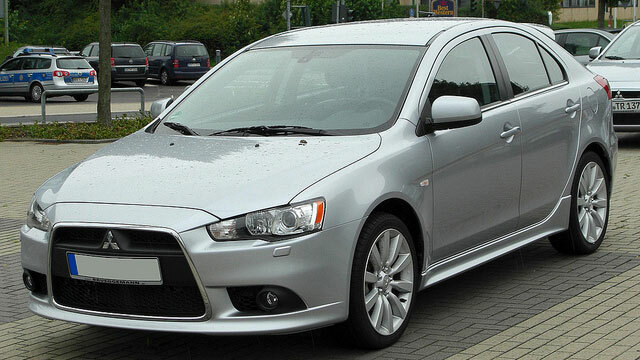 Our auto mechanics are well versed in all aspects of auto repair on Mitsubishi autos. If you’re driving Mitsubishi and need auto repair work, our certified auto mechanics will conduct a free multi-point visual inspection of your vehicle, take photos of any problems, and give you a written estimate so you can decide on your path of repair. JW Auto Care in Scottsdale is A+ rated with the Better Business Bureau and is designated as an ACDelco Professional Service Center, Bosch Service Center, and NAPA AutoCare Center. Our auto mechanics keep up with all the cutting-edge tools, techniques and technology needed to keep your Mitsubishi in excellent running order. And for added peace of mind, we also offer nationwide 3-year/36,000-mile parts and labor warranty on most repairs. Owner Johnny Welker, who bought the auto repair shop in 2010, puts a premium on customer service and having his auto mechanics up to date on training and any new innovations in the industry and doing the job right the first time. At the end of the day, for Johnny, it's all about taking care of the customer and fixing the car. Regardless of the challenge, JW Auto Care is equipped to handle it. When you bring your Mitsubishi in for maintenance or repairs, you can be certain that the auto mechanics at JW Auto Care in Scottsdale have your safety and comfort in mind and we will do our best to get you back on the road with your car in tip-top running condition as quickly as possible. For auto repairs and maintenance of your Mitsubishi, call us or schedule an appointment online. JW Auto Care is located at 3011 N. 73rd St., Scottsdale, AZ 85251.